Saturday, Shoshka and DoN visited the Center for Emerging Visual Artists Show House at 1634 South 13th Street, the former home and studio of artistScott Pellnat. The townhouse is filled with art by CFEVA artists including Anne Canfield, Katie Murken, Julia Blaukopf, Kara Rennert, Caleb Nussear, Darla Jackson, Jennifer Chapman, Serena Perrone and of course Scott Pellnat‘s wonderfully wacky constructions. 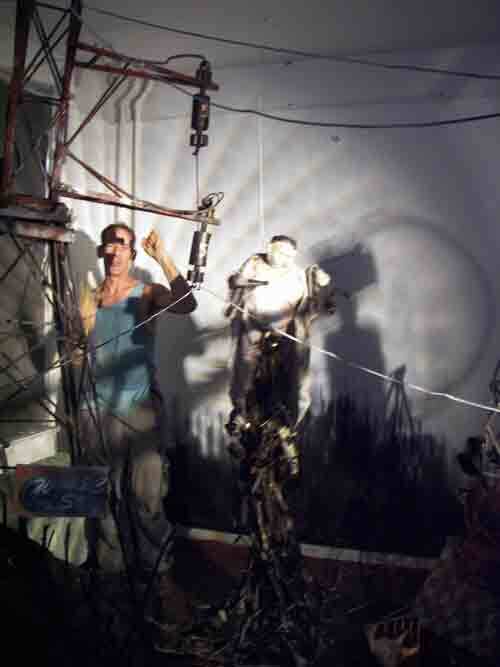 Pellnat is an accomplished woodworker and avid dumpster diver creating mechanical constructs out of marquetry of colored pencils, found objects and wood, there’s even a hidden room behind bookshelves which open by pulling on a book ala the Addams Family revealing robotic creatures pulling ropes and strings producing a dramatic diorama. 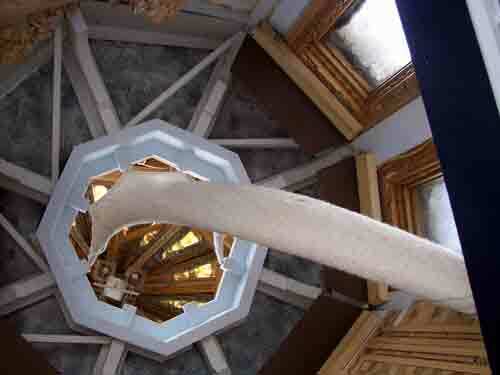 Looking up into the turret Pellnat built on the roof. 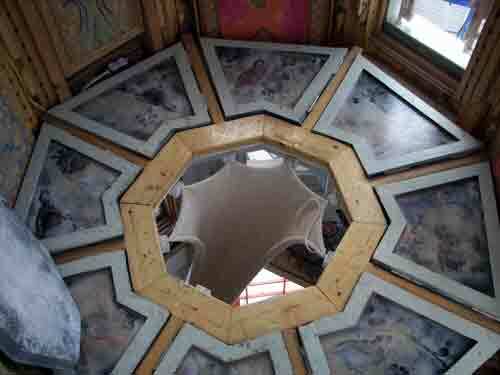 Looking down from the turret into the house – the walls are covered in colored pencil marquetry and the floors are spray painted through lace and stencils. The top floor is filled with a knitted installation with tendrils swooping through the room like some kind of giant alien brain cell. 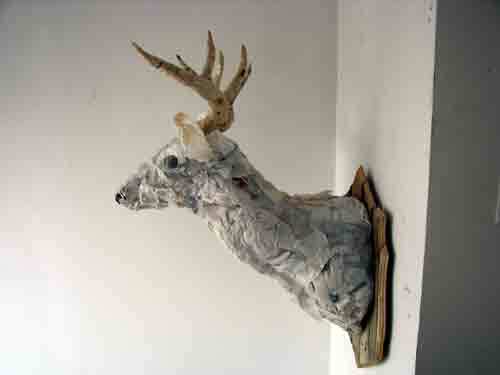 The site specific piece was created by Katie Murken. Scott Pellnat in his “secret studio”. As if the room isn’t creepy enough, there’s a gravity distortion which turns the room sideways!?! Close up shot of Scott Pellnat‘s intricate woodwork. Anne Canfield‘s “Swim Team: Snippets from Yuki’s Memory Book“. 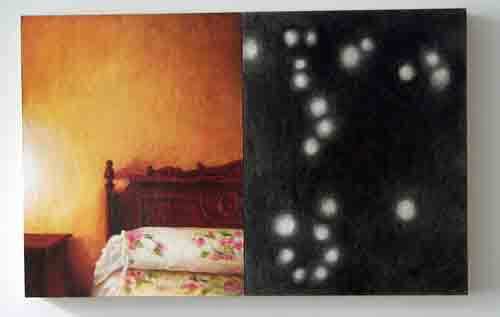 Serena Perrone‘s “Dreaming of Flying Fish“, oil and charcoal on panel, diptych. 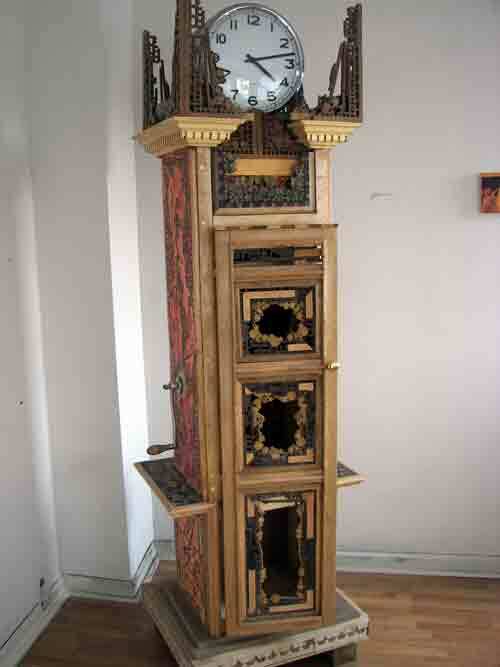 Scott Pellnat’s Grandfather Clock – one must crank the handle on the side to raise the clock but the cranker can’t see the clock!?! 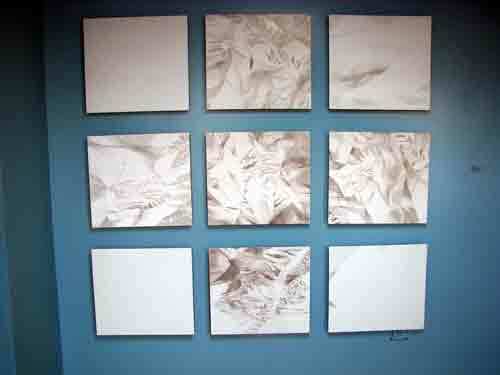 Silver point drawings by Caleb Nussear called “#3XUL Diminished“. CFEVA keeps finding new venues and interesting events to promote Philly’s fine artists including the upcoming Philadelphia Open Studio Tours this October. DoN will keep you POSTed. 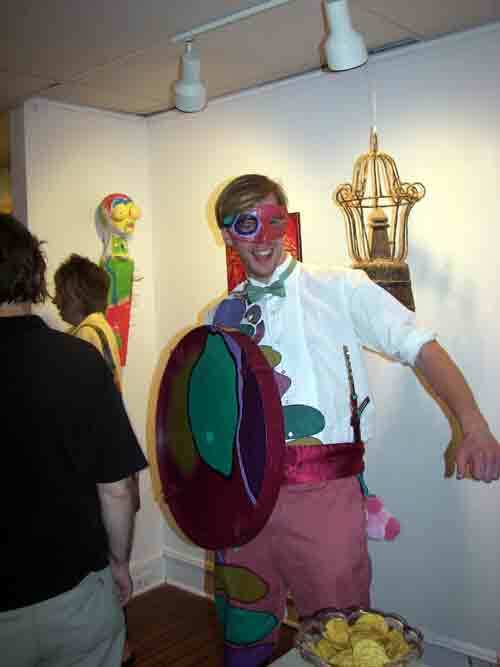 This entry was posted in Art Spaces Philadelphia, Ceramics & Sculpture, Design, DoNBrewer, Fabric Art, Fine Art Philadelphia, Multimedia Art, Paintings Philadelphia, Philadelphia, Philadelphia Abstract Art, Philadelphia Art, Philadelphia Art Galleries, Philadelphia Art Shows, Philadelphia Artists, Philadelphia Artists, Philadelphia Pop Art, Uncategorized, Video on July 31, 2008 by admin1. 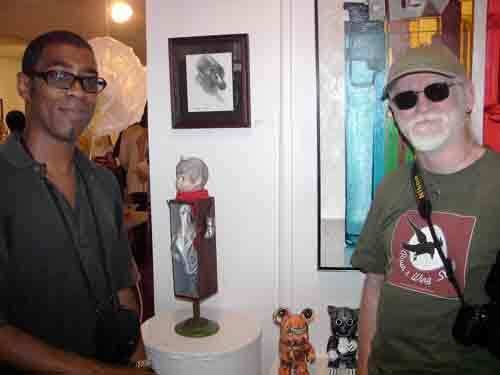 Supermodel Mike invited DoN to visit Jinxed Clothing to meet artist Tim Diet and toy designer/artist Mr. Shane Jessup. Tim Diet is a NYC based artist who creates super-pop art featuring icons of advertising and cartoons; “Where’s the Beef?” features the Hamburgler, Wendy, Wimpy and more, “Menace to Society” stars Dennis and other trouble-makers. Diet’s style is to paint with acrylics on stretched canvas and create a masterful mash-up of cheery icons designed to make us buy stuff that’s not really that good for us. Tim Diet with his paintings @ Jinxed. 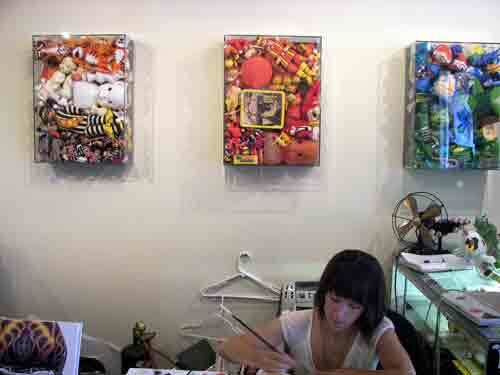 Acrylic Boxes by Tim Diet @ Jinxed (that’s Leanne Biank working on her entry for The Rolling Canvas Art Collective presented by Fuji Bikes which opens Friday @ Jinxed). Acrylic Box by Tim Diet @ Jinxed. 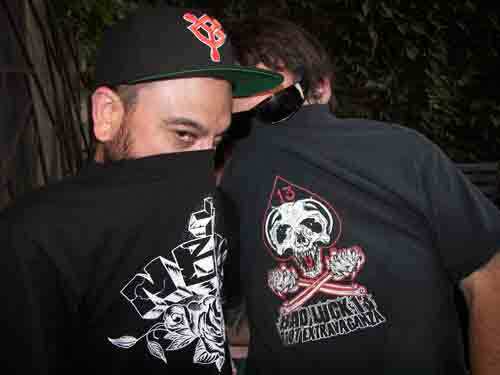 Tim Diet and Jinxed owner Supermodel Mike. “Words that Hurt” paintings by Mr. Shane Jessup @ Jinxed. Mr. Shane Jessup is a toy designer for Kid Robot, planet Earth’s premier creator & retailer of limited edition toys, clothing, mini-figures, artwork & books. Jessup designs three-D toys in Illustrator, the vinyl toys are manufactured overseas, refined back here in the states and then sold to kids and collectors alike and are currently a big hit at ComicCon in San Diego. 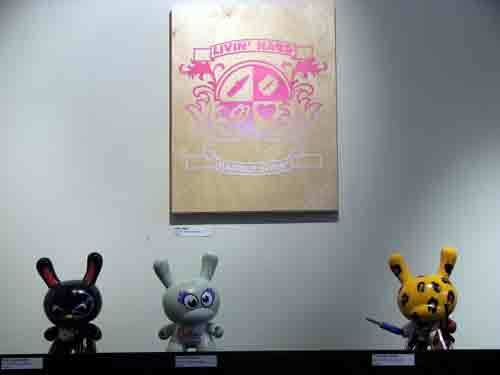 The toys are Super-Kawai bunnies, robots, punks and monsters – DoN LoVes them all! You can buy a box of 24 figurines some of which are rare and collectable – then you have to network with other collectors to find the special ones you need to complete your collection. Start by shopping at Jinxed, you’re sure to find something deliciously wacky to start your collection. 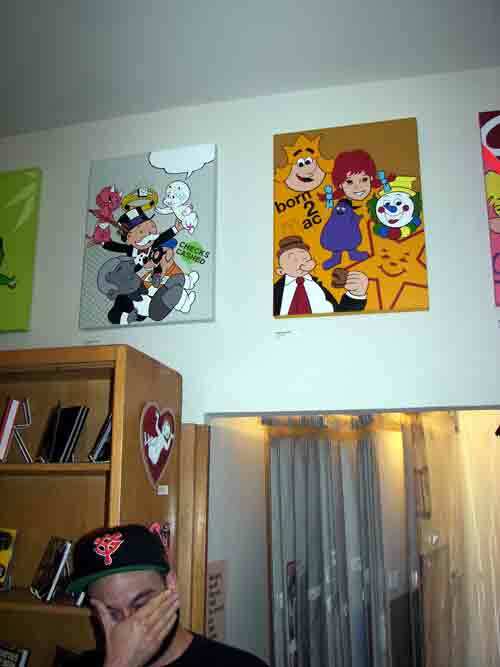 Painting and vinyl figurines by Mr. Shane Jessup @ Jinxed Phildelphia. Jinxed Philadelphia on 4th Street, South of South Street. Next, DoN stopped in Digital Ferret CDs because of the crowd of punks outside; it’s so cool that punk is not dead, super-high platform boots, black leather and pink Mohawks will never go out of style. Digital Ferret CDs is one of America’s leading music retailers and mail order houses for 80s, Ambient/Techno, Industrial, Electronica, Gothic, Metal, Trip-Hop, World Fusion and Experimental Music. Inside the shop was rocking to the sounds of Philadelphia’s own Society Hill, kind of a mash-up of punk, funk and grunge – really fresh and clean – lead singer Dwight was totally unintelligible – fabulous! Check out Society Hill’s MySpace Page to learn more about the band. 4th Friday on 4th Street is really fun with jewelry vendors, stained glass, art and clothes for sale on the sidewalk – and parties everywhere. Let’s ROCK! All photographs by DoNBrewerMultimedia Photography. This entry was posted in Clothing, Collectibles, Music, Paintings Philadelphia, Philadelphia, Philadelphia Art, Philadelphia Art Galleries, Philadelphia Pop Art, Toys, Uncategorized on July 31, 2008 by admin1. Did you know Indigo Arts is now in the Crane Arts building? You have probably visited Indigo Arts at their previous locations in Manayunk and Old City but the Fishtown gallery is dedicated to folk art from Asia, Africa and the Americas. Owner, Tony Fisher regaled DoN and Shoshana with tales of how one might import objects from Cuba (hint – having Canadian friends helps); the gallery is filled with Haitian barbershop signs, African furniture, Cuban self-taught art, Balinese masks… visiting Indigo Arts is literally a trip around the world. 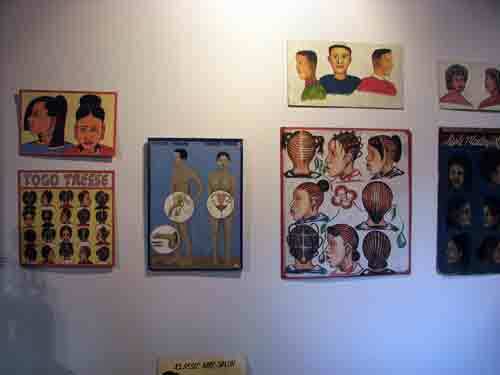 Haitian folk art @ Indigo Arts. 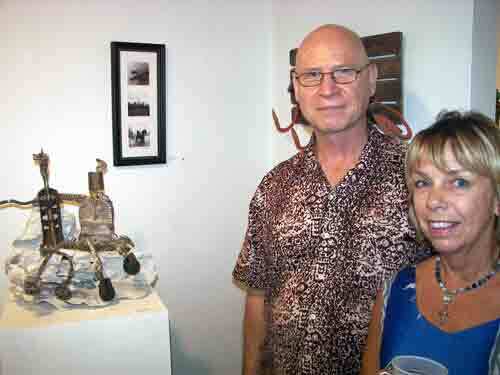 Indigo Arts gallery owner Tony Fisher. This entry was posted in Fabric Art, Folk Art, Paintings Philadelphia, Philadelphia Art, Philadelphia Art Galleries on July 31, 2008 by admin1. David Foss’ dust encrusted bizarro birdcage is so DuChampian, only the passage of time and benign neglect can create such a time/space distortion. 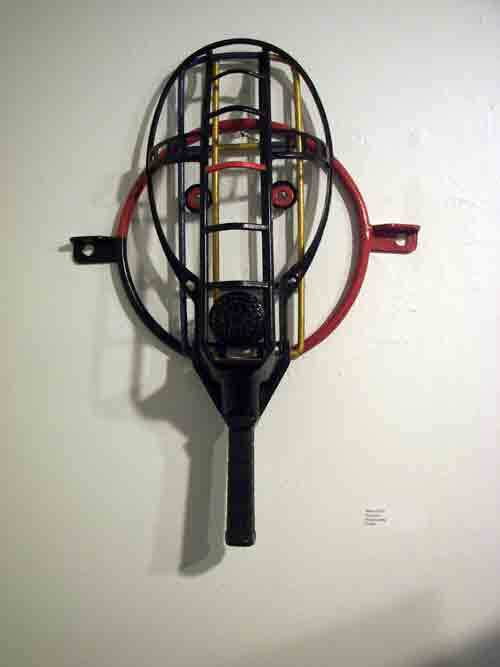 Artist Andrew Dyer – as his MySpace page @ Found Objects/New Contexts. Renzo Oliva’s “Gladiator“, mixed media piece combines metaphors and anthropomorphism by distilling disparate elements with a similar line weight into an activated object of desire, it really has the feel of drawing. 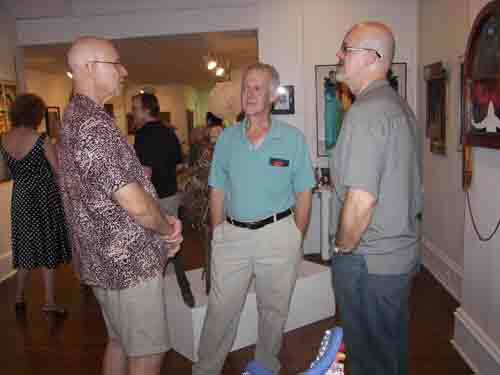 Oliva explained to DoN that Davinci Art Alliance’s Found Art show is his first art show in America, having exhibited in Europe and Asia. Artists Karey Maurice and Burnell Yow! near their selections for the show; that’s Burnell’s on the pedestal, a mixed media piece using dog bone and doll parts, and the pair of Super Kawai, anime-ish sculptures on the table are Karey’s. Artists Ted Warchal and award winner Regina Barthmaier; her wire horse sculpture made from rescued electronic parts is evocative of a time-traveling trip towards entropy. 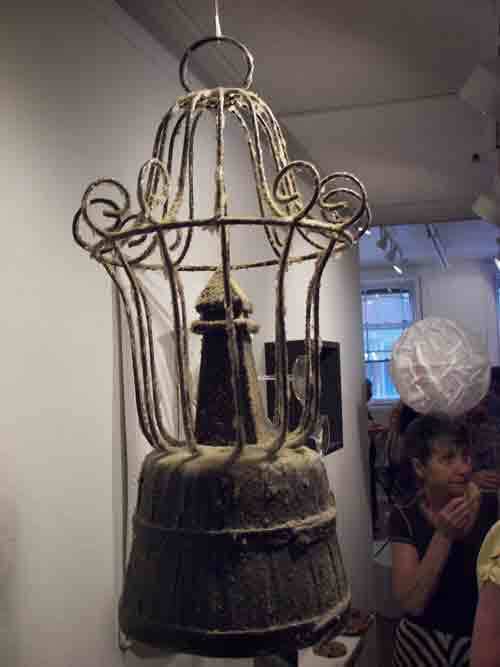 In the pic on the pedestal is Regina’s other entry in Found Objects/New Contexts. 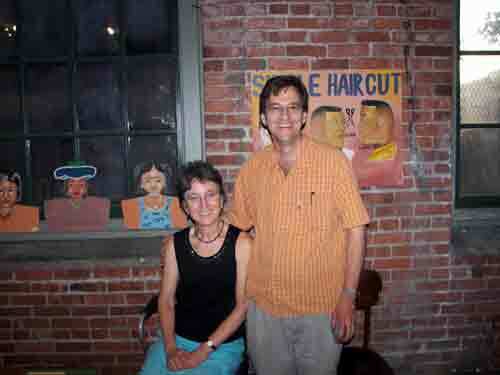 Writer and art critic R.B. Strauss tells DoN he’ll be writing about Barthmaier’s horse-like sculpture. Rowan University’s Dr. Deb Miller presenting awards at DaVinci Art Aliance’s Found Objects/New Contexts exhibit which is open through 7/29/08. All photography by DoNBrewerMultimedia Photography. 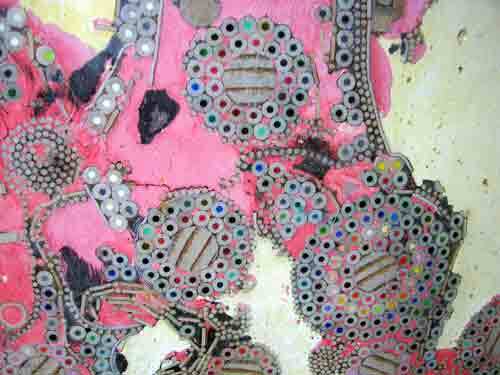 This entry was posted in Art Spaces Philadelphia, Fine Art Philadelphia, Multimedia Art, Philadelphia Abstract Art, Philadelphia Art, Philadelphia Art Alliances, Philadelphia Art Galleries, Philadelphia Art Shows, Philadelphia Artists, Uncategorized on July 27, 2008 by admin1. Artist Lilliana Didovic, artist Karen McDonnell and Ken Tutjamnong @ Smile Gallery opening for artists Ken Tutjamnong and Mike Sweeney. 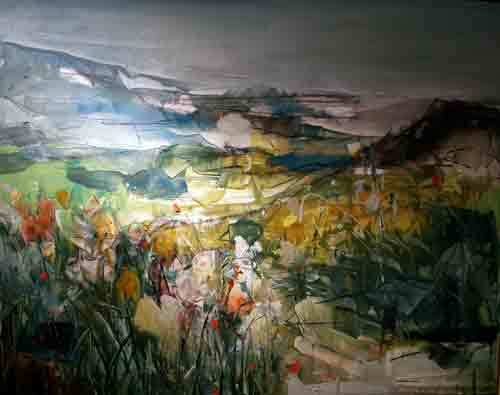 Ken Tutjamnong’s impressionist floral paintings are exuberant with a variety of mark making techniques splashed across the canvas then scraped away to reveal subtle coloration and form. 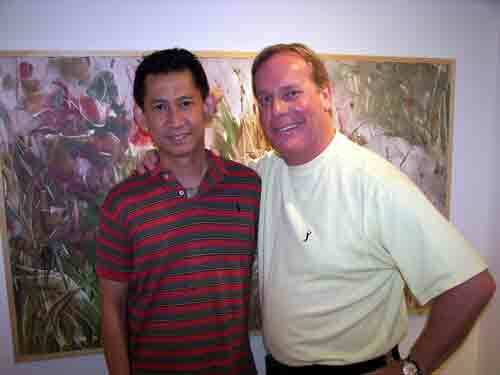 Ken, a native of Thailand, is a dedicated painter and a member of the DaVinci Alliance – not only does he manage the most excellent Smile Thai Restaurant which is more than a full time job, he finds time in the morning or after to work to develop his unique painterly style. 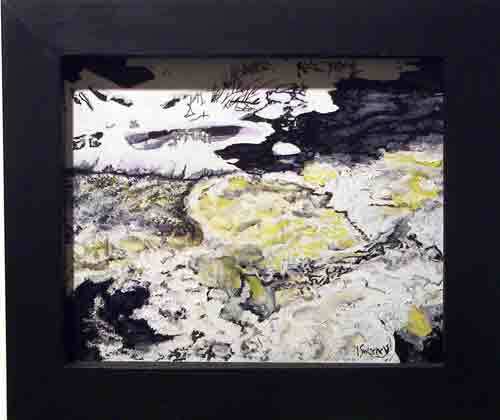 Tutjamnong’s paintings for the Sunshine and Flowers Show are absolutely happy with rich texture, color and composition; Ken obviously is working hard to realize a dream. Artist Mike Sweeney @ Smile Gallery. 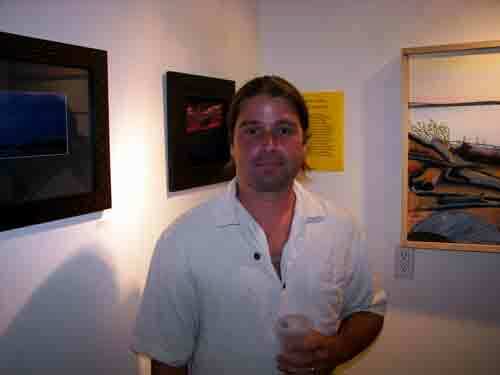 Mike Sweeney mixed paintings and photographs in Smile’s Sunshine and Flowers show. he says, “Photos are an ethereal experience, a painting you have to live with, get to know, be there a long time. A photo lasts forever as that moment.” Again, time shifting and experience design create new vibrations, since DoN is a multimedia guy, it’s refreshing to see an artist freely mix the medias usually kept separate. Painting by Mike Sweeney @ Smile Gallery. Ken Tutjamnong and his brother Matt Lyons. 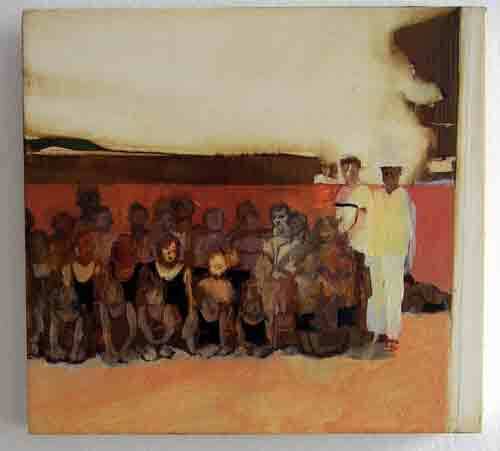 This entry was posted in Art Spaces Philadelphia, DoNBrewer, Paintings Philadelphia, Philadelphia, Philadelphia Art, Philadelphia Art Galleries, Philadelphia Art Shows, Philadelphia Artists, Philadelphia Artists, Uncategorized on July 27, 2008 by admin1.